Understanding Bitcoin Exchange-Traded Funds: What Is a Bitcoin ETF? Home Bitcoin Understanding Bitcoin Exchange-Traded Funds: What Is a Bitcoin ETF? Bitcoin ETFs are becoming an increasingly common topic of debate in the cryptocurrency community these days. Over the past few weeks, major names in the world of cryptocurrencies, most notably that of the Winklevoss twins and Vitalik Buterin, have commented on cryptocurrency-based ETFs. Let us take a closer look at what an ETF is, what the difference is between a regular ETF and a Bitcoin ETF, as well as the debate that is surrounding Bitcoin ETFs these days. Let us first understand what an exchange-traded fund is and then take a closer look at Bitcoin ETFs. An exchange-traded fund (ETF), if you had to go by the textbook definition, is what Investopedia defines as “a marketable security that tracks an index, a commodity, bonds, or a basket of assets like an index fund.” However, looking at ETFs from an everyday point of view, it can be simply put as an investment fund that owns a collection of assets such as gold or oil and based on the appreciation of the value of the assets rewards its investors. The ownership of an ETF is in shares, where the profits are divided among the shareholders. One of the best things about exchange-traded funds, when compared to other kinds of investment funds, is the fact that they are traded on stock markets, thereby making it very easy for investors to acquire and sell them, as opposed to other kinds of funds that require a lot of paperwork. To add to that, ETFs are more liquid compared to mutual funds, which have some restrictions about lock-in periods and time-bound withdrawals. One of the biggest differences between ETFs and various other types of funds is that exchange-traded funds actually own the asset that they are tracking. In case of cryptocurrency-based ETFs, such as Bitcoin ETF, the ETF actually owns a certain number of Bitcoins in the form of Bitcoin futures contracts and tracks the price of these contracts. Now that you have a basic idea of what an exchange-traded fund is, let us take a closer look and understand Bitcoin ETFs. Bitcoin-based ETFs, simply known as Bitcoin ETFs, are still in a very early stage. As of this writing, there are no actual Bitcoin ETFs you can invest in. However, the idea that has been proposed states that Bitcoin ETFs would actually invest in Bitcoin futures contracts (and not actual Bitcoins, where they track the rates in a crypto exchange). Following the purchase of the contracts, the amount of Bitcoins held would be distributed among the investors in the form of shares. Then as the price of the contract moves, the investors will make relative profits or losses. A number of eminent players in the market, including the Winklevoss twins, have been trying to get Bitcoin ETFs approved by the US Securities and Exchanges Commission (SEC). However, SEC has rejected the idea twice. SEC, in its reasoning behind not permitting cryptocurrency-based ETFs yet, has explained that the time is not right for Bitcoin ETFs. SEC believes that cryptocurrencies are too volatile an asset to be traded in investment funds. The regulator pointed out that while most Bitcoin ETFs are proposing investing in Bitcoin futures contracts, Bitcoin futures contracts are quite volatile, as well as nonliquid in nature. However, Hester Peirce, Commissioner at SEC, is quite positive about Bitcoin ETFs. While SEC has been quite strict when it comes to Bitcoin ETFs, it has no objections when it comes to blockchain-based ETFs. Blockchain ETFs are becoming increasingly popular of late. They involve the fund investing in shares of companies that are making use of blockchain technology, and the valuation of the fund rises or falls based on how these stocks that they have invested in are performing. The core asset class that blockchain ETFs invest in is that of shares, while the asset class in Bitcoin ETFs becomes cryptocurrencies. Bitcoin ETFs may not be supported by SEC as of now. However, considering that regulations on the crypto industry and demand for Bitcoin ETFs are rising, it can be quite possible that SEC would approve of these funds in the near future. Bitcoin ETFs already have the backing of the Commodity Futures Trading Commission (CFTC) and only awaits the nod from SEC now. It would be interesting to see the kind of response Bitcoin ETFs get when they’re finally official. Khushboo holds a master’s degree in computer applications and has prior experience in web development. 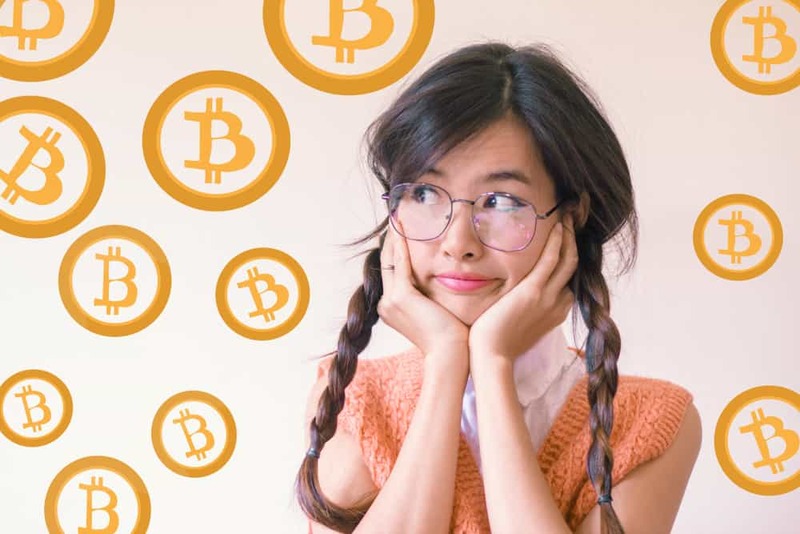 She observes crypto space closely and shares her learning along the way. She also loves reading and stalking Reddit.